This is a photograph of Rev. 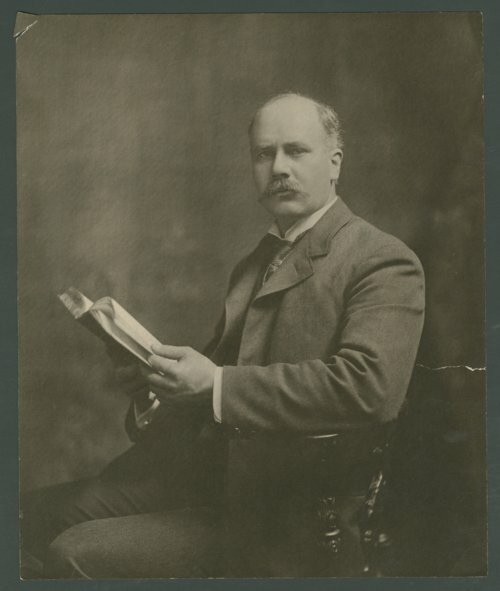 Charles Monroe Sheldon, pastor of Central Congregational Church in Topeka, Kansas. He organized the Tennessee Town Kindergarten, which is the first black kindergarten west of the Mississippi River. Rev. Sheldon is best known for his novel "In His Steps" or "What Would Jesus Do?"